The ability of an ensemble of five regional climate models (hereafter RCMs) under Coordinated Regional Climate Downscaling Experiments-South Asia (hereafter, CORDEX-SA) in simulating the key features of present day near surface mean air temperature (Tmean) climatology (1970–2005) over the Himalayan region is studied. 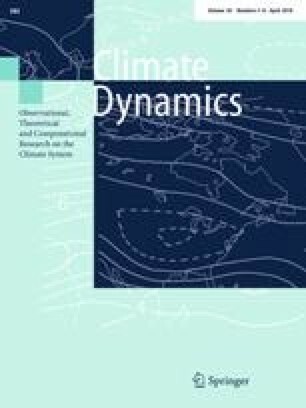 The purpose of this paper is to understand the consistency in the performance of models across the ensemble, space and seasons. For this a number of statistical measures like trend, correlation, variance, probability distribution function etc. are applied to evaluate the performance of models against observation and simultaneously the underlying uncertainties between them for four different seasons. The most evident finding from the study is the presence of a large cold bias (−6 to −8 °C) which is systematically seen across all the models and across space and time over the Himalayan region. However, these RCMs with its fine resolution perform extremely well in capturing the spatial distribution of the temperature features as indicated by a consistently high spatial correlation (greater than 0.9) with the observation in all seasons. In spite of underestimation in simulated temperature and general intensification of cold bias with increasing elevation the models show a greater rate of warming than the observation throughout entire altitudinal stretch of study region. During winter, the simulated rate of warming gets even higher at high altitudes. Moreover, a seasonal response of model performance and its spatial variability to elevation is found. The online version of this article (doi: 10.1007/s00382-017-3597-x) contains supplementary material, which is available to authorized users. The authors thank the World Climate Research Programme’s Working Group on Regional Climate, the Working Group on Coupled Modelling which formerly coordinated CORDEX. We are also grateful to the climate modeling groups (listed in Table 1) for producing and making available their model output. The authors also thank the Earth System Grid Federation (ESGF) infrastructure and the Climate Data Portal at Center for Climate Change Research (CCCR), Indian Institute of Tropical Meteorology, India for provision of CORDEX South Asia data.. Also, we thank Ministry of the Environment, Japan’s APHRODITE water resources project, supported by the Environment Research and Technology Development Fund for provision of APHROTEMP data and Climatic Research Unit, University of East Anglia, United Kingdom for providing CRU data on their respective websites. The UDWand NCEP data is provided by the NOAA/OAR/ESRL PSD, Boulder, Colorado, USA, on their website at http://www.esrl.noaa.gov/psd/. We acknowledge the comments and suggestions of two anonymous reviewers which helped us in improving the manuscript.